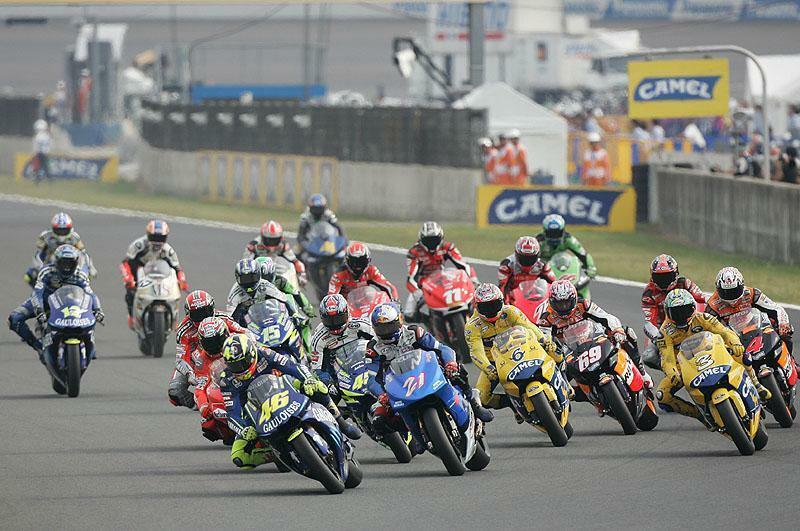 The provisional entry list for the 2005 MotoGP season has been release with D’Antin Ducati, Aprilia and Proton still to confirm their riders. One thing that stands out is that despite becoming Honda’s top rider for 2005 after signing to ride for the Repsol Honda team beside Nicky Hayden, Max Biaggi doesn’t appear to be entered. The TBC next to the second Repsol place is probably a typo but we’ll keep you posted as soon as more details arrive.